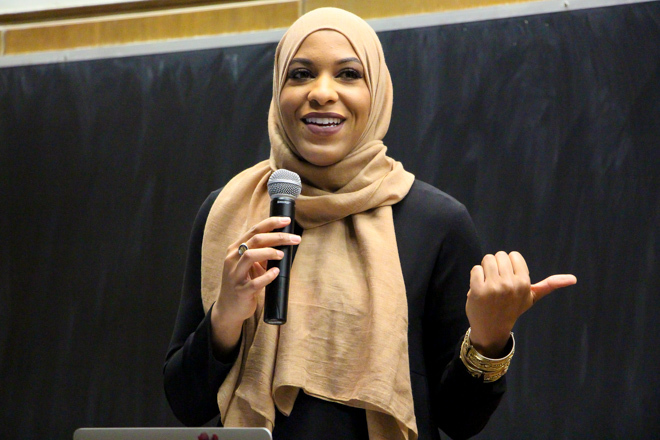 “I really feel like a professor standing up here,” the first female Muslim Olympian to medal for the U.S., Ibtihaj Muhammad, joked, as she started her speech for the second day of Muslim Cultural Students Association's Discover Islam Week. Over 100 people attended the event held in the Technological Institute LR2. 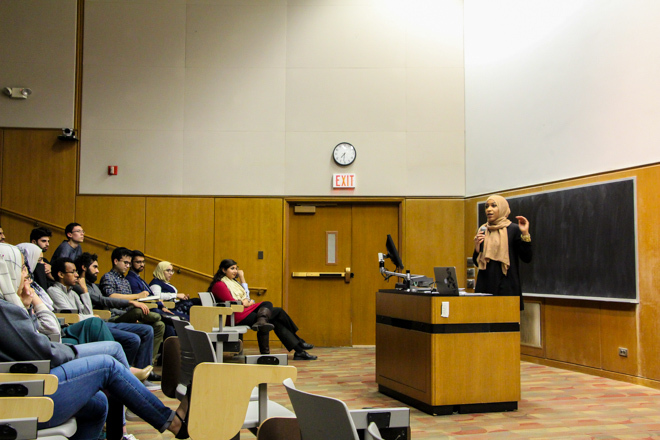 Once she opened up to questions, Muhammad talked about what makes her motivated, her “top secret” daily workout regimen, and whether she fasts while fencing during Ramadan. She went deeper in her history with the Peter Westbrook Foundation, a non-profit youth fencing club in New York City, and how without it, she would not be where she is today. She also mentioned that she had signed a book deal last week, and would be writing an adult memoir. When asked whether she plans on competing at the next Olympics, she joked, “I’m still tired from the last Olympics, believe it or not,” and added, “I highly doubt you will see me at the next Olympics,” much to the disappointment of audience members. 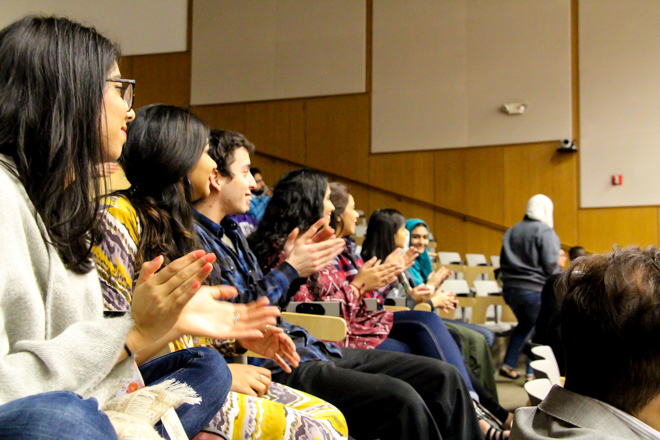 Rimsha Ganatra, co-president of the association that is hosting Discover Islam Week, the Muslim Cultural Students Association, said she loved the event. Editor's Note: A previous version of this story identified Ibtihaj Muhammad as the first female Muslim Olympian. This was not entirely correct, as Muhammad was actually the first female Muslim Olympian to medal for the U.S. The story was updated Thursday at 9:45 am.